Growing up, I was always told by my parents, grandparents, teachers and neighbors that playing outside was “good for you.” Of course, this was long before cell phones, video games or other electronic devices that keep our attention nowadays. Children who play outside are typically more active, reducing the likelihood of developing diabetes, obesity or heart disease. Playing outside gives children the opportunity to be more creative and imaginative, as well as interact more with others. It also enhances socialization. Children who play outside have higher levels of Vitamin D. It helps boost their immune system, strengthens bones and reduces some symptoms of depression. Being outside can help reduce anxiety and stress. For example, taking a walk, jogging or just sitting in a lounger can be relaxing, as well as healing. Children who learn to garden eat more fruit and vegetables and are more likely to maintain a healthy lifestyle later in life. Playing regularly outside increases knowledge of the natural environment, reasoning skills, and independence — leading to increased academic performance at school. We’re often so preoccupied with our children’s extracurricular activities, play dates and on-the- go busy lifestyles that we forget to encourage them to take time to just play. Think back to the days when you were young — how much time you spent outside, all the memories you have and what they taught you. Or just let them go outside and run! Best of all, encourage your kids to explore their environment. Tandon, P., Zhou, C., Christakis, D. (2012). 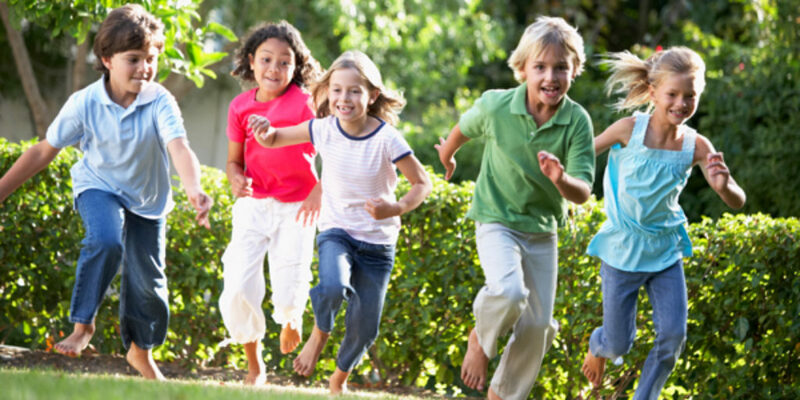 Jama Pediatrics: Frequency of Parent-Supervised Outdoor Play of US Preschool-Aged Children. Arch Pediatr Adolesc Med. 2012;166(8):707-712. doi:10.1001/archpediatrics.2011.1835.